Jupiter, FL – Boca Raton Football Club (2-1-0) had its first away game of the 2015 American Premier Soccer League season on Sunday, May 24 at Jupiter High School where they defeated Palm Beach Piranhas (0-2-1) by the score of 5-1. Boca Raton jumped to an early lead in the 5th minute when Bruno Militz scored his first goal of the season after finishing a sensational cross from Colby Burdette. Minutes later, Boca Raton doubled its lead after another brace from Militz on an assist by C.J. Phelps. Palm Beach Piranhas got one goal back in the 32nd minute but that was about the only shot on goal Piranhas had. Right before the half, Gio DiMauro gave the visiting team the 3-1 advantage heading into halftime. After a 30-minutes lighting delay, both teams took the field for a hard-fought second half which saw Boca Raton score two more goals courtesy of Colby Burdette and Jose Herrera. Boca Raton now sits in fourth place in the APSL standings heading into this weekend’s matchup versus 5th-place Alianza Miami at Wild Lime Center Park in Miami on Sunday, May 31 at TBA. For more game pictures, click here. 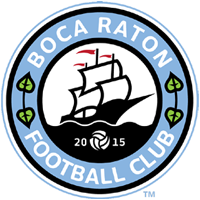 Boca Raton Football Club is a fourth division club from Boca Raton playing in the American Premier Soccer League. In just a few months the clubs has broken APSL attendance records in both their home games and have been the most talk-about club in the league. Boca Raton FC’s goal is to be a pathway for players to stay fit, compete at a high level and be part of a professional soccer atmosphere as well as bringing high-level competition to the City of Boca Raton where residents can watch a game in a safe, fun, and exciting environment.